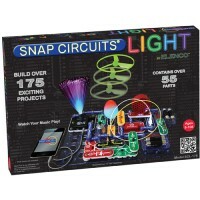 The new addition to the award winning Snap Circuits line features 133 projects to introduce electronics and physics for beginner engineers. 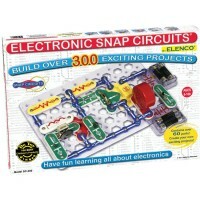 With Snap Circuits you learn by doing! 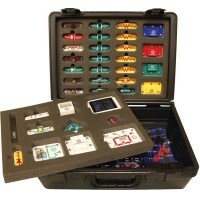 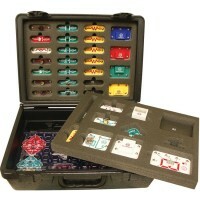 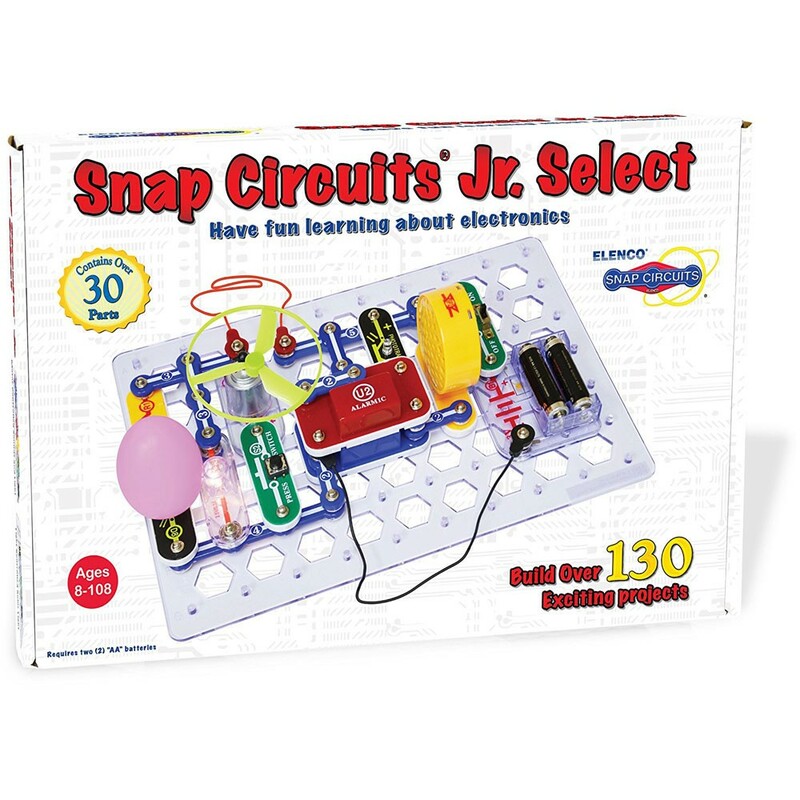 Snap Circuits Jr. 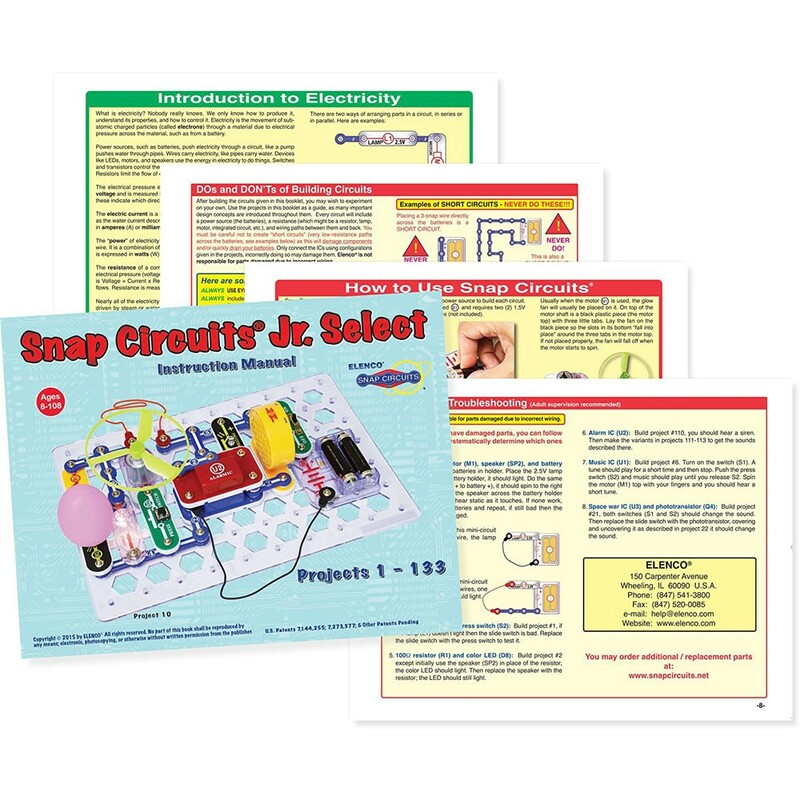 Select 133 Electronic Projects Kit is a new awesome kit from Elenco to introduce circuits, electronics, and physics to the young scientists. 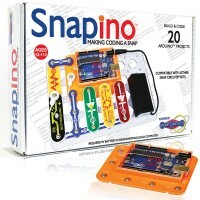 No tools, no soldering. 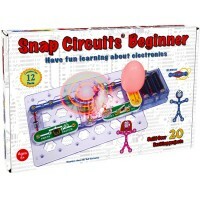 Just follow the directions from the booklet and snap the parts on the board. 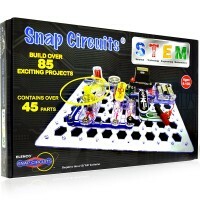 Snap Circuits system uses building pieces with snaps to assemble different electric circuits on a simple rows-and-columns base grid that functions like the printed circuit board found in most electronic products. 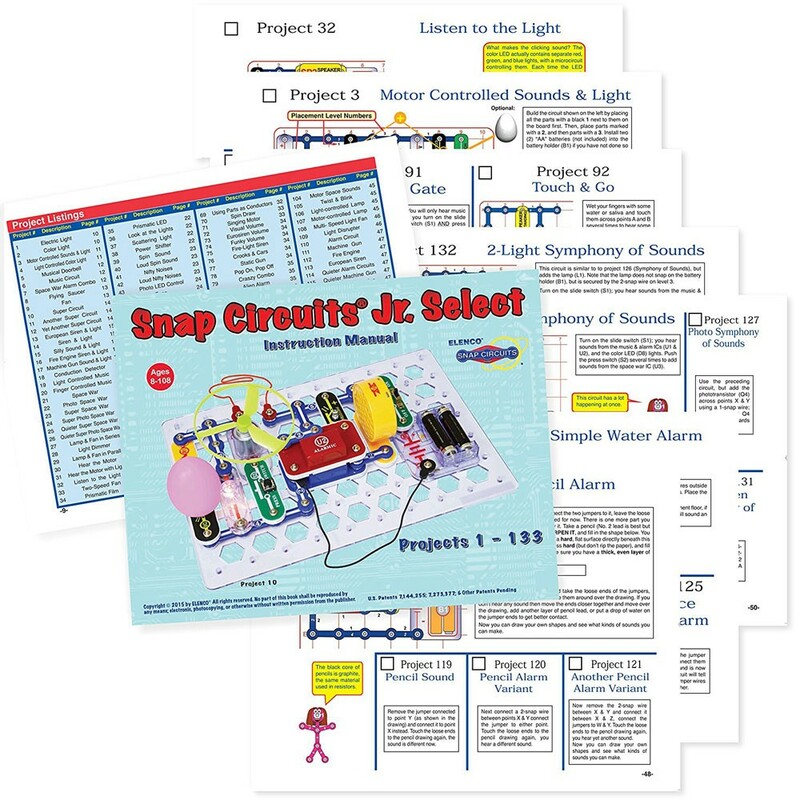 Each component is easily identifiable by a different color and functional purpose.The electronic kit features 133 projects clearly outlined in the color project manual. 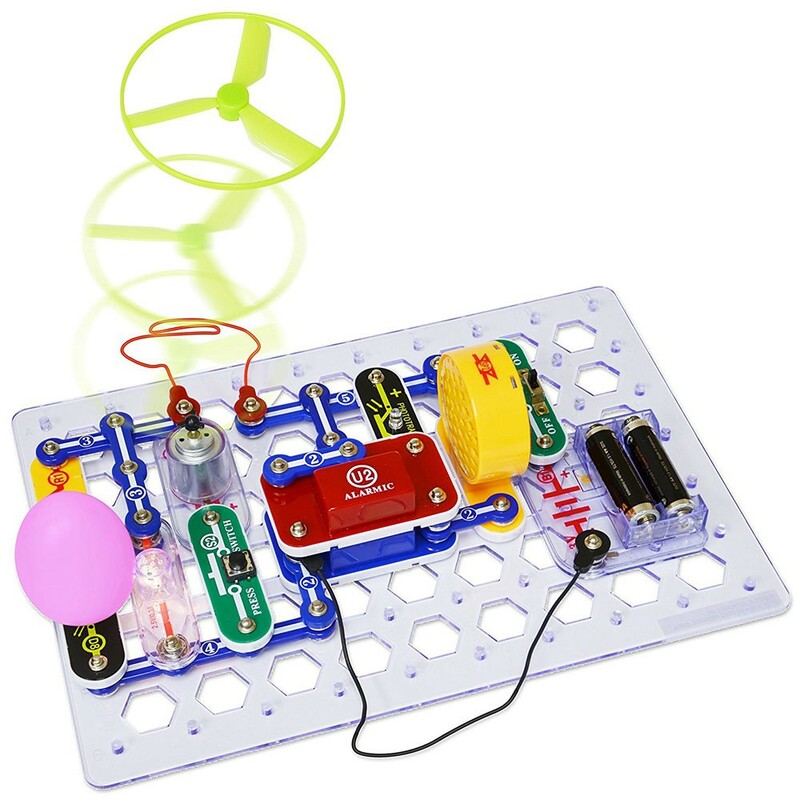 The projects utilize a glow-in-the-dark flying propeller, phototransistor, LEDs, resistors, ICs, a DC motor and much more. The Snap Circuits Jr. 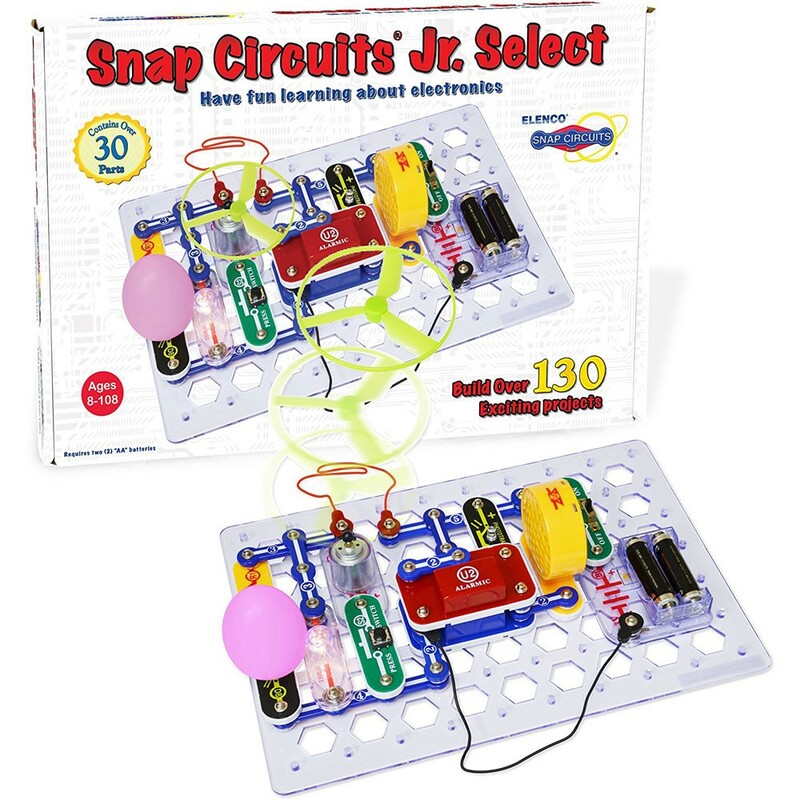 Select is fully compatible with all Educational Toys Planet's Snap Circuits sets to build bigger, complex, and more creative projects. 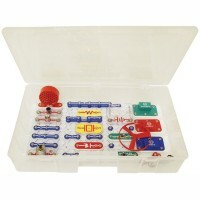 This kit requires 2 AA batteries (not included). 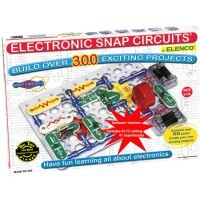 Dimensions of package 9.6" x 15" x 2"
Write your own review of Snap Circuits Jr. 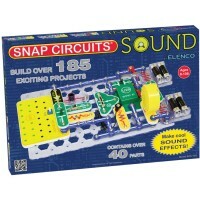 Select 133 Electronic Projects Kit.